Doing some internal testing I discovered that some warnings that are normally present don't exist anymore. 1. Try to resize a zvol that will make the zpool go >80% full after the refreservation is applied (applied when zvol is created), you get a warning with red text (see screenshot). 2. 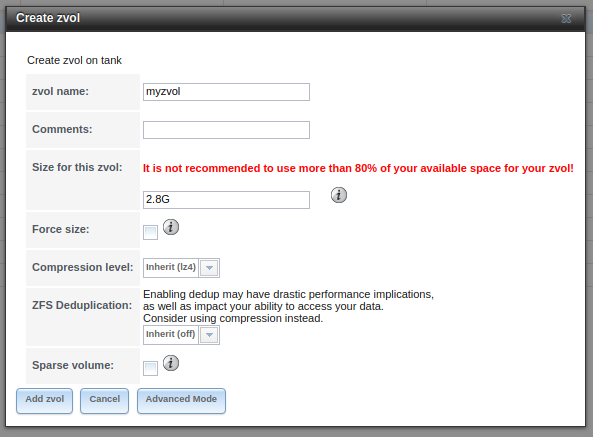 You should get a warning if you try to create a zvol that will, after allocating the space, would result in the zpool going over 80% full. Ok, I see now, this is for Edit zvol, not create.